MIKASA 90 19" X 21" Plate. 200lbs. 3,350lbs Cent Force. 80ft/min. MIKASA 88 20" X 21" Plate. 217lbs. 3,370lbs Cent Force. 72ft/min. For sand/gravel/material that will break loose in your hand after squeezing. Generally sand can be compacted in 6-10" lifts. 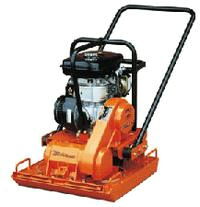 * Please call us for any questions on our compactor plate 200lbs . standard rentals in Langley, also serving Clinton, Freeland, Greenbank, and Coupeville.